Moreover, our client base has consistently grown, reaching new countries such as Belgium, the Netherlands and Greece. 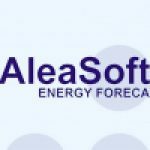 AleaSoft has catered to a variety of clients, customizing to their specific interests. We offer energy forecasting to Transmission System Operators, Distributors, Traders, Retailers, great Consumers and Generators in both the electricity and gas industries, and as of 2013 can now also include small retailers and small combined cycle plants (CCGT).